Prior to the release of the Fanatic Deth Koptas I had a go at making some myself. Taking a simple Ork Buggy, I cut the wheels off. 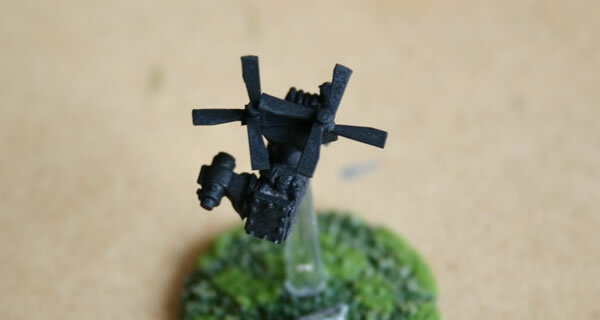 I then used a small piece of plastic sprue (from the bases sprue as it happens) and stuck that to the back. I then added rotar blades made from plastic strip. Small slices of plastic rod were added to the top of the rotar blades.